I've been trying 2 products from a brand called Provenance, a cream to help improve dark circles and another cream which claims to help stretch marks! The packaging is clear and easy to get, the only thing which disappointed me was the messy remnants of the silver seal after I removed it from both creams. It's nice to knew they've been sealed and have been kept fresh but I thought it just looked messy. Apart from that packaging wise everything else was fine. The Dark Circle Eye Cream* is targeted at dark circles which has always been a problem I've had all my life. Whilst I'm under no illusion mine will ever vanish I still have the hope they may fade. I've been using this eye cream in the evening and sometimes in the morning for a few weeks now and whilst I haven't seen any significant difference in my dark circles my eye area is nicely hydrated and is doing a good job at keep those fine lines at bay. I must draw your attention to the size of this eye cream, yep you saw that right peeps 40ml!!! I've tried many many eye creams over the years and have never come across a size this big! So this is definitely value for money. Stretch marks aren't something I like to talk about, however unfortunately many of us do have them. Whether its through weight loss or gain or even pregnancy. I first had stretch marks as a teenager, I was never over weight and in fact use to run a lot. Since having 2 children my tummy does have some, not many and easily disguised with self tan lol. However I would love for my skin to be more smoother and even. Since using the Scar & Stretch Mark Cream* day and night I have noticed them fade a little and my skin does look healthier and brighter. Both creams are slightly unpleasant scent wise in my opinion, however if a cream lives up to its claims I'm happy to over look that. Have you tried this brand? 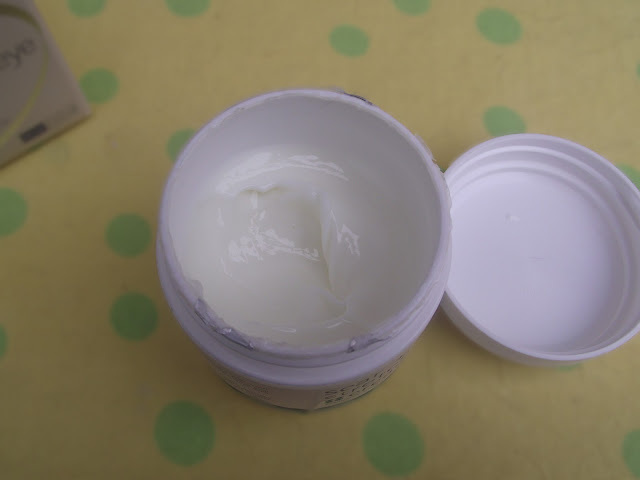 Do you use a cream for stretch marks or dark circles? I suffer from dark circles too. I use No.7 Eye Cream, I think it has a hint of foundation in it, so I put it on with the rest of my make-up in the morning and it makes under my eyes look much more refreshed.